The foundation was excavated to pour concrete pads beneath the stones to provide additional support. 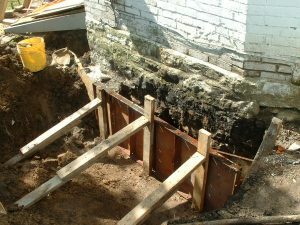 The original foundation was laid above the frost line, allowing minor movement . and interior wall cracks, during the freeze/thaw cycle.